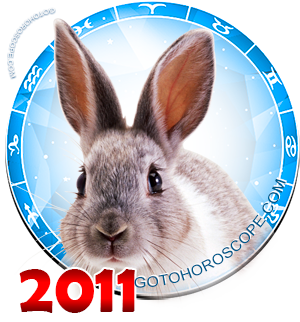 July 2011 Horoscope Virgo, free Monthly Horoscope for July 2011 and Virgo Astrology Forecast for the month ahead. Virgo is often true to his ideals and illusions. He creates for himself the image of an ideal world, which in reality is very hard to find - if it is even possible to find it. In July 2011, he will face the need to change his utopian view of the surrounding world, move to more realistic goals and plans, give preference to practical work, rather than dwell in illusions. This month, Virgo will have to be vigilant - sometimes the situation will be treacherous, unexpected, trying to cripple his calmness and stability. 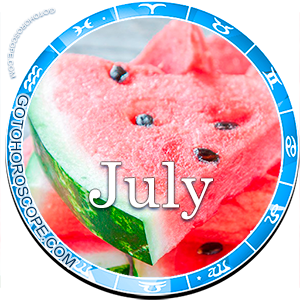 We cannot say that July 2011 will be catastrophic for Virgo, but the period might become so because of his complete inaction, desire to return to his previous work methods, which have long been obsolete. Relationships with partners and colleagues will be tense, so Virgo will need maximum concentration and patience. The first decade of the month will be ripe for reconsidering an already outdated routine relationship. Virgo will be able to meet very nice people who will become his new friends. It is new acquaintances that will allow a representative of this zodiacal constellation begin a new life, abandoning his old complexes. He should not lose sight of the situation at work, though Virgo will have a lot of affairs that require her full attention. Virgo must learn to cope with problems immediately they occur without waiting when they grow and form stumbling blocks in his path. There is no need to cause scandals with partners and colleagues for money and other material reasons - the arbitration tribunal and objective and independent people are best trusted in addressing controversial and difficult financial issues. In the third week of the month, Virgo's affairs will develop successfully, he must be more decisive so as to develop and expand his business in such a time favorable for him. One should not hope for frivolous success - Virgo's active and purposeful work, his persistence in achieving goals, and promotion of his new projects will only yield positive results. Unemployed Virgo might find a job in July 2011, but he has to start from the scratch and make every effort so as to be noticed and accepted into the team as an equal. Very soon, Virgo will be able to earn the reputation of colleagues and approval of his superiors, now starting his career on a new job. The financial situation in July 2011 will be very volatile and Virgo should carefully monitor all his expenses so as not to strongly deplete his budget. He may get an unexpected gift or benefit, but this is still not worth risking one's savings, hoping for a big profit. This month, Virgo individuals should be moderate in everything - including in financial transactions. Hopefully, Virgo's practicality and reasonableness will help him choose the best ways to preserve and increase his capital, without putting it to risk. 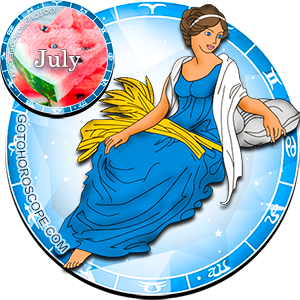 Beginning of July 2011 will bring a fateful meeting for a Virgo, whose heart is still lonely. Romantic relationships, started this month, have all chances to become a long and happy one. Closer to the middle of the month, a married Virgo will have conflicts with his/her spouse, and this will be caused by Virgo's negligence to his close people, plenty of work to the detriment of family matters. Family weekends and short trips in which spouses will surely find common ground, strengthening their relationship will help correct this situation.